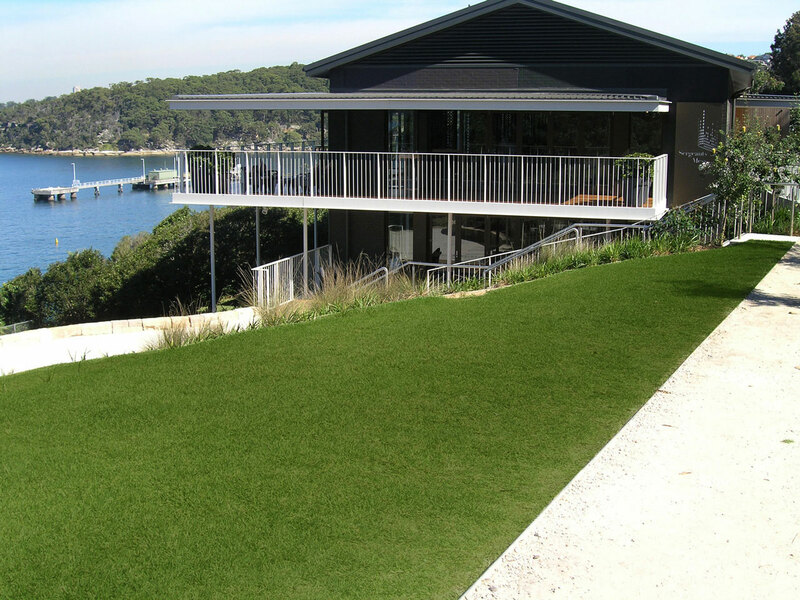 The magnificent clifftop harbour location of the ‘Sergeants Mess’ Function Centre, located adjacent to Sydney Harbour National Park at Chowder Bay, was recently extensively renovated by Architects Lacoste+Stevenson (exterior) and Spandenberg+Park (interior) . 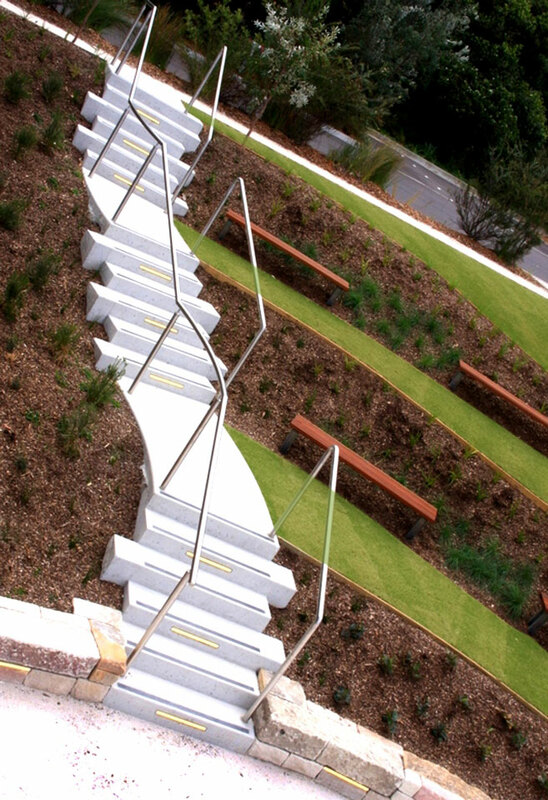 Our brief was to help settle the new function centre into its surrounding landscape, to resolve external access concerns and to create attractive, level usable terraced spaces for the use of both the public as well as the patrons of the adjacent function centre. 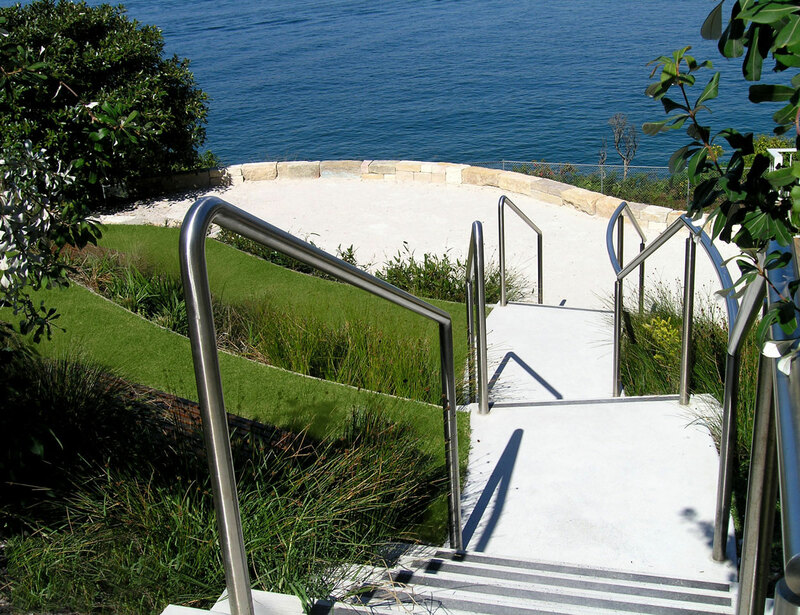 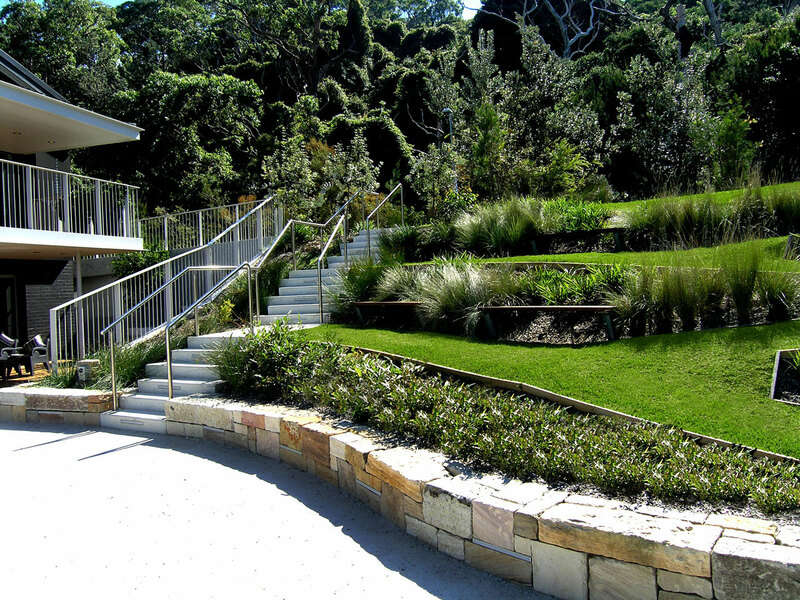 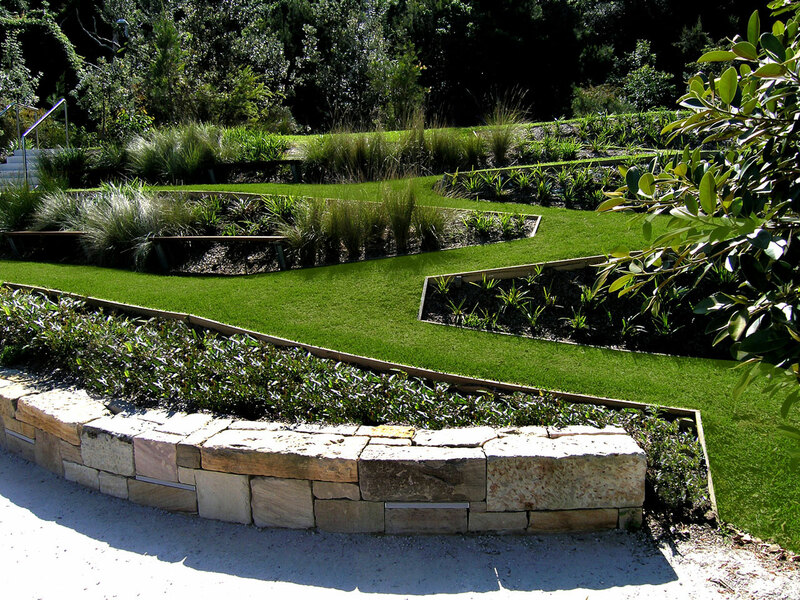 The sensitive landscape resolution included the use of local indigenous plant species (using seed collected and grown from the surrounding area) in the revegetation of the steep embankments, all of which was to the strict design requirements and satisfaction of the Sydney Harbour Federation Trust.